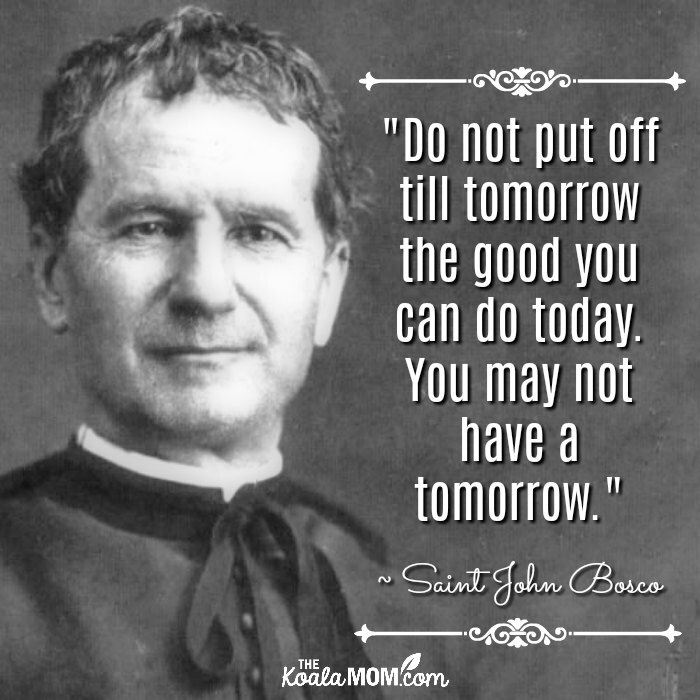 January 31st is the feast day of Saint John Bosco, a priest who lived and worked two hundred years ago. He’s the patron saint of apprentices, editors and publishers, schoolchildren, magicians, and juvenile delinquents. A Google search for him turns up hundreds of Catholic schools, but Don Bosco was more than a good teacher. He recognized God’s call in his life as a young boy, fought hard to follow that call, and came up with creative ways to reach others for God. 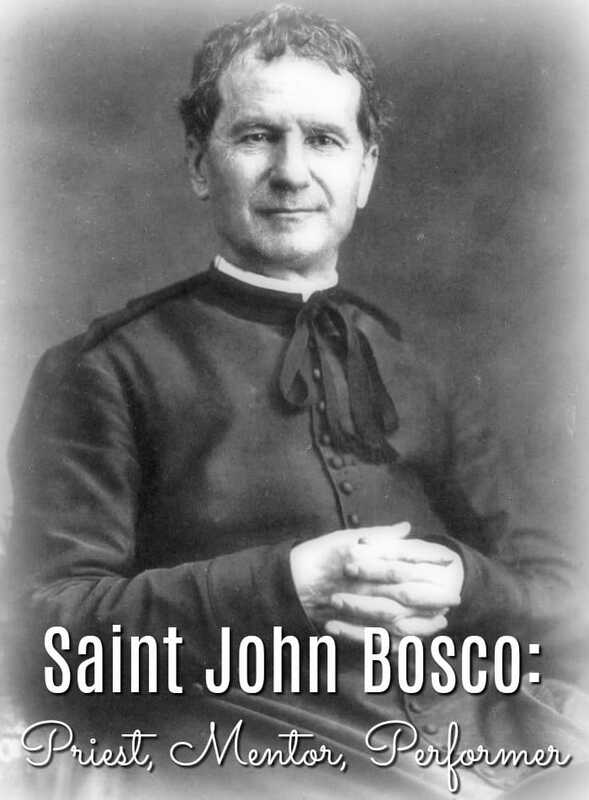 Saint John Bosco was born Giovanni Melchiorre Bosco in Italy on August 15th, 1815. It was not an auspicious year to be born; the Napoleonic Wars had just ended, and Italy was facing a drought and famine. When John was only two, his father died, leaving his mother Margherita with three sons to raise. They grew food and kept sheep. Despite their own poverty, they often helped the homeless who came seeking shelter and food. John first experienced God’s call in a dream at the age of nine. In his dream, he saw a group of boys, playing and swearing at each other. Jesus appeared and told John that he would conquer these boys with meekness and charity. The Virgin Mary told John to be strong and humble, and that understanding would come in time. Throughout his life, he held on these and other dreams, and maintained a great devotion to Our Lady. Soon after this, a traveling circus visited Becchi. Like many young boys, John was drawn to the spectacle and performances. While being entertained, John realized that this could be used for a greater purpose. He learned some tricks and put on his own show for the village children. They were delighted, and as John wrapped up his show, he shared a homily he’d heard. He ended by asking the kids to pray with him. As John continued to share tricks and homilies, he discerned a call to the priesthood. Here, his poverty became an obstacle. John’s family didn’t have the money for the books he’d need to study. Despite this, he managed to find a fellow farmer and then a priest to teach him to read and do his sums. Then he faced opposition from his family. His older brother felt John was being pretentious and often made life difficult for him. To ease the tension between her sons, Margherita sent John away to attend school. He boarded with a family friend and worked any job he could get to ease his mother’s financial burden. He was an exceptional student with an excellent memory and good study habits. In a few years, he caught up to his peers. At the age of twenty, he was ready to enter the seminary. During this time, he met Saint Joseph Cafasso, who encouraged his vocation. Father Cafasso had also been born to peasant parents and had a deformed spine. He was a sought-after spiritual director and confessor, and a popular lecturer who insisted on discipline and high standards. He and John became good friends and Father Cafasso always supported John’s work. At the age of twenty-six, John Bosco was ordained a priest. He was sent to work in Turin, Italy. In the 1840s, Turin faced industrialization. Poverty was widespread. Father Bosco, called Don Bosco, went into the slums and with Father Cafasso often visited the prisons. He was appalled at how many teen boys ended up in prison. To reach out to the boys, Don Bosco used his performing skills again. His tricks attracted their attention so he could speak about their spiritual needs. When he wasn’t doing tricks, Don Bosco searched for work and lodgings for boys who needed it. His mother came to join him and became known as Mama Margherita. Within twenty years, Don Bosco and Mama Margherita were lodging 800 boys. Don Bosco also insisted on good working conditions for his boys. Employers couldn’t beat the boys and had to give them feast days off. Father John reached out to boys whom he felt would be good priests, mentoring them as Father Cafasso had mentored him. 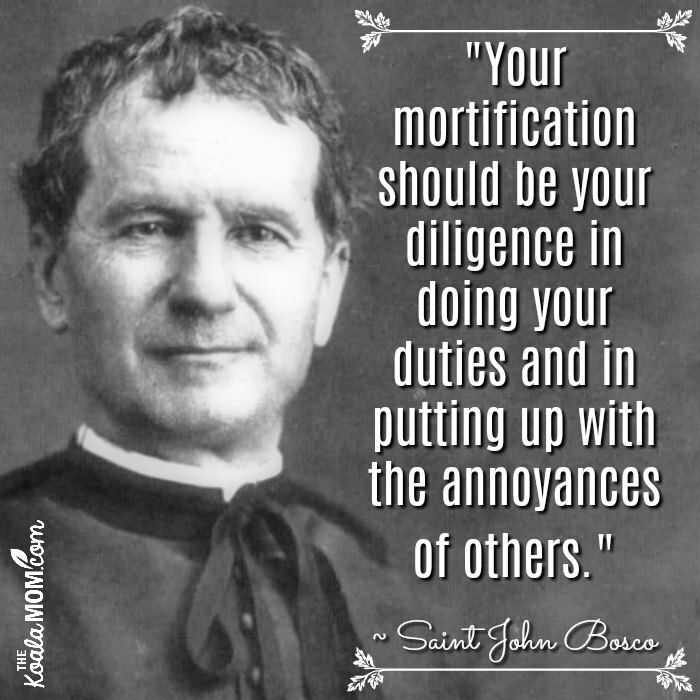 Don Bosco’s work wasn’t always easy. Other priests accused him of taking boys from their parishes. Italy had strong anti-clerical, nationalist attitudes at that time. The Chief of Police objected to Don Bosco preaching in the streets. It was also hard for Don Bosco to find reliable homes and work for the boys he sought to help. Despite this, his work continued to grow. In 1859, Don Bosco founded the Society of St. Francis de Sales. Its purpose was to carry on his work of helping boys stay out of trouble and grow in their faith. The Society began with fifteen seminarians. By the time of Don Bosco’s death, his Society was helping 130,000 children in 250 homes. Today, his work continues around the world. John Bosco died on January 31st, 1888. Calls for the canonization of this beloved, hardworking priest soon followed. Pope Pius XI had known Don Bosco personally and agreed that he was a holy man. He was declared blessed in 1929 and canonized on Easter Sunday in 1934. His feast day is celebrated on January 31st. As I learned more about this saint, I could see why he’s quite popular with Catholic boys. We need to pray for more priests like Don Bosco in the Church! I also found myself thinking about what I can learn from his life. First, our message must be attractive. Jesus himself came telling stories that drew His listeners in to what He had to say. In a similar way, St. John Bosco caught his audience’s attention by performing tricks, then shared his words of wisdom. When we lived in Victoria, one priest there also used magic tricks to share the Gospel. He invited the children to come to the front of the church during the homily, where they waited eagerly and quietly to see what he would pull from his magic bag, or how he would make a picture appear on a handkerchief, or what other tricks he would use to illustrate his message. 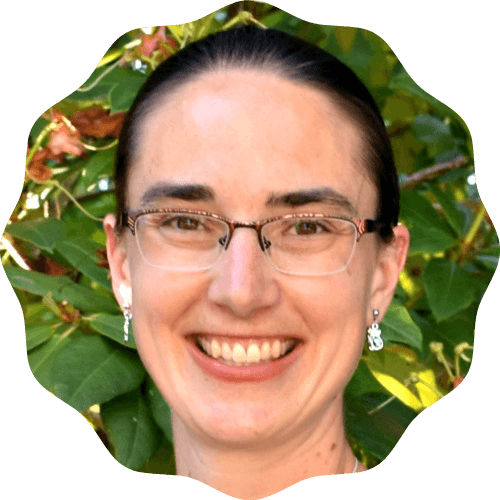 Whether we are homeschooling mamas, catechism or children’s liturgy teachers, or church club leaders, we can also find ways to make the Good News attractive and interesting to our kids. I love sharing stories of the saints because I find it easy to connect with and be inspired by these ordinary people who did extraordinary things for God. Second, he met boys were they were—in prison, on the streets—and met their physical needs as well as their spiritual needs. He provided a place for the boys to gather for Mass, and heard their confessions and offered spiritual direction. He also recognized that they needed shelter and food, and sought ways to provide these. Saint John Bosco promoted fair treatment of employees and apprentices long before unions came into being. Third, Saint John Bosco was surrounded by other saints who encouraged him and shared his work. His mother, Margherita, has been declared venerable by the Church. He named his Oratory and the society he founded for St. Francis de Sales, whose life and work inspired him. Saint Joseph Cafasso encouraged and mentored him and he, in turn, encouraged and mentored Saint Dominic Savio. He helped St. Mary Mazarello reach out to girls in need and start an order of nuns dedicated to helping girls as he was helping boys. There were, of course, hundreds of others who worked with Saint John, whose names are no longer remembered. In the same way, God places each of us in a family and a community, with people around us to support us and encourage us in God’s callings on our lives. 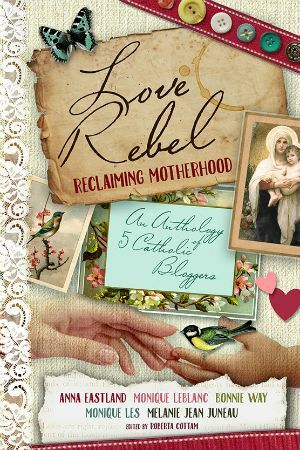 I am grateful for the example of my parents and grandparents, for the teachers in my daughters’ lives, for the godparents we’ve chosen for our kids, for my friends who lift me up in prayer and encourage me as a mom, for the online community of women I’ve found as a Catholic mom blogger. Saint John Bosco, pray that we may be inspired by your example to make our faith attractive to others, to meet the physical and spiritual needs of those around us, and to appreciate and support the community You’ve placed us within.